Not just for the professionals, Roman Prokes can be available to you for an on-court consultation. 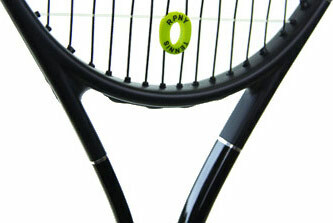 Roman will team with a pro, meet you on court, and within an hour, have assessed your game and diagnosed the perfect racquet. Due to Roman’s busy schedule, all consultations must be booked in advance. Don’t waste any more time or money finding a temporary solution to your equipment. I want to thank you again and let you know that I won the grass court doubles tournament last weekend. I felt in total control. Haven’t felt this good on a tennis court in 15 years!! I am convincing some other friends to come see you as well. Hey man. Hope you are well. Great news. Ellyse won her first national tournament in singles this past weekend. She had always come up a bit short. This weekend she fought back from a set down and 2-4 down in the third set. This was also the first time she played with the new racquet!!! I can’t thank you enough for everything. I have a lot of people that are interested in having you do for them what you did for Ellyse. I’ve said so many great things about you and your services to everyone. I owe you BIGTIME for helping Ellyse breakthrough to another level. Thanks. Roman – first of all.. a BIG thanks. Today exceeded our high expectations J. Both Alex and Nicolas were blown away by how much better their racquets feel and their ability to both hit heavier and more accurately. You have helped them break that compromise.